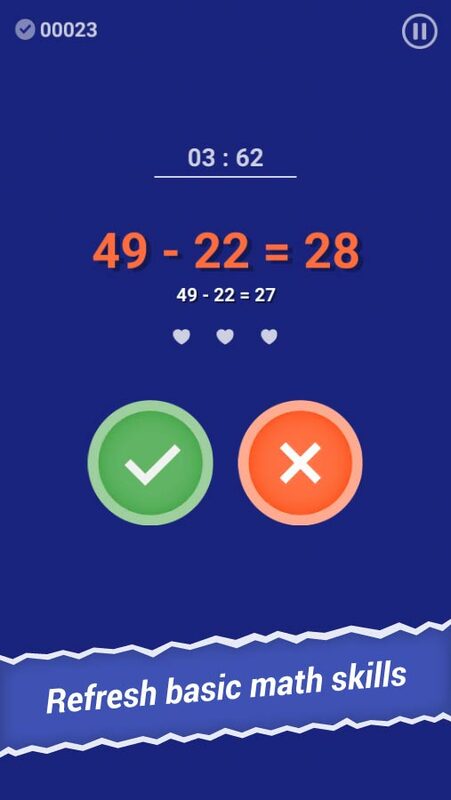 compete with friends at the same time! 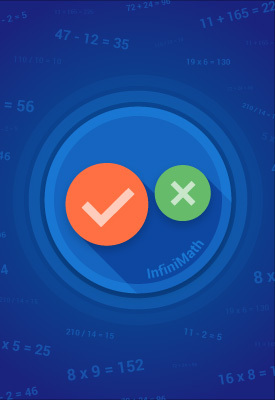 InfiniMath - challenging math game which develops strong calculation skills. 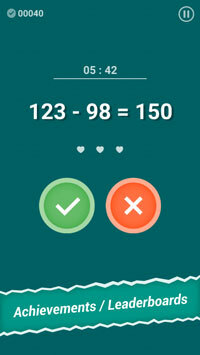 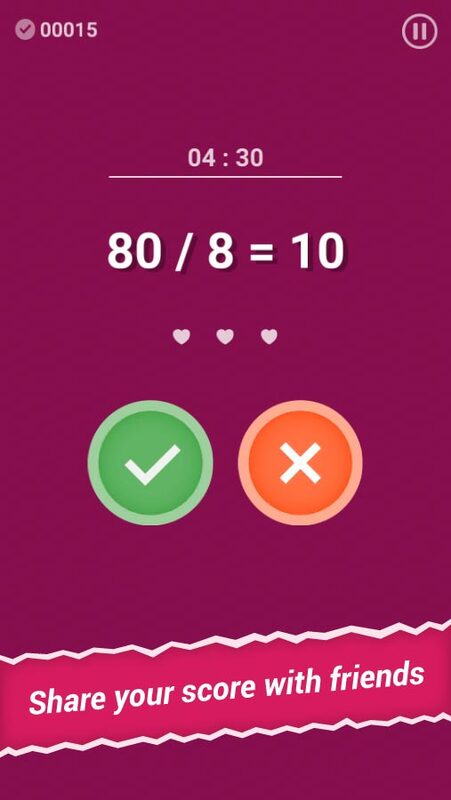 Game will show you math equations, one by one, and you have to decide whether they are true or not. 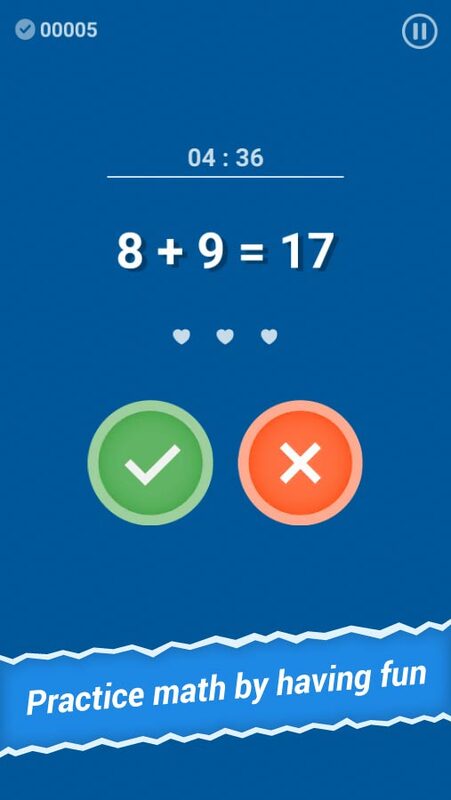 Time is limited, complexity grows with each correct answer, so how quickly can you solve them under such pressure? Score tons of points, compete against your friends and family to rise up the online leaderboard. To keep you even more challenged, there are also lots of achievements that can be unlocked! This game is a great way to practice basic math, getting comfortable with addition, subtraction, multiplication, and division. 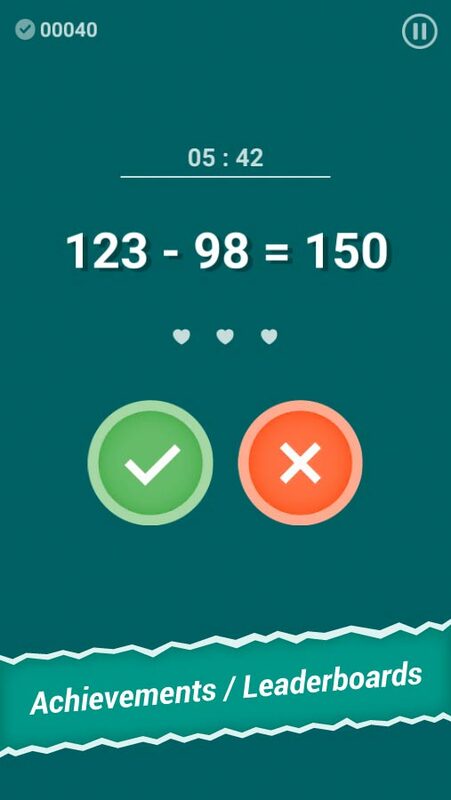 Turn your brain into a real calculator!